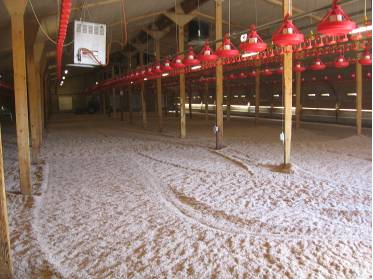 This broiler farm uses wood shreds produced from soft–wood pallets as bedding which is dust extracted at source and supplied in bulk. However, the litter contains some dust which is needed to absorb moisture and increase insulation. 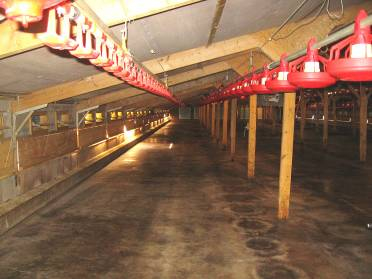 The height of the poultry shed was 1.47m at the eaves and the height from the floor to the raised drinkers was 1.56m. 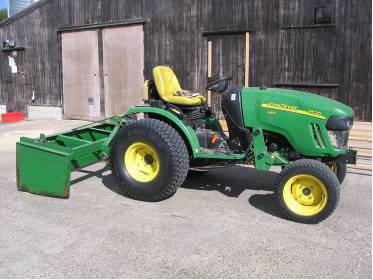 The unavailability of suitable small vehicles with ventilated cabs meant that the contractor had to use a mini-tractor without a cab (note: there are currently no suitable vehicles with ventilated cabs available on the UK market that are of a height which could access a low poultry shed such as this one). The contractor used a drag-box mounted on the rear of the tractor which is used to spread the litter at a layer of approx 2 inches deep. 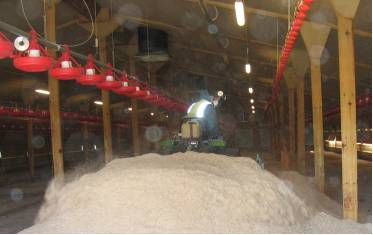 Spreading is not allowed to start until the air inside the house has completely cleared after transfer of the shavings from the delivery lorry. The driver enters the poultry shed. 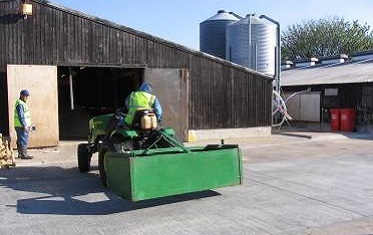 As it is not reasonably practical to use a vehicle with a ventilated cab in this particular shed, the contractor wore a ventilated visor with an APF of 20 (e.g. FFP3 standard). As the contractor drives over the pile of litter the drag-box is filled and ready to spread the load around the shed. The driver tended to move around the shed in a circular pattern but his movements were fairly random. The spreading operation does create airborne dust but the level of dust appeared to be low. With the fans in operation the dust does not appear to build up in the atmosphere. 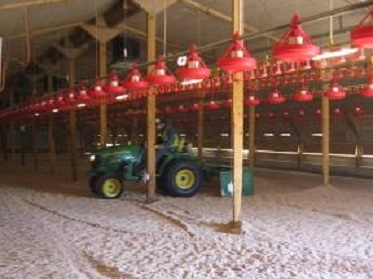 Ventilation of the shed during spreading should aim to create the maximum dilution of the airborne dust. This is most likely to be achieved by operating all the fans and opening all the vents. 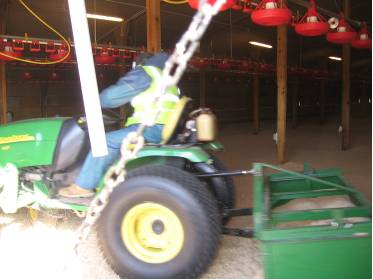 The contractor repeats the above until the bedding is completely spread. He finishes the spreading by manually raking the litter around the bases of the roof support posts. The spreading operation took 20-25 minutes to complete. A chain is hung across the main shed entrance and warning signs are posted at the other entrances to the building to prevent unauthorised access during spreading.